What is a C. diff infection? Clostridium difficile (C. difficile, or C. diff) is a specific kind of bacterial infection that causes mild to life-threatening forms of diarrhea and colitis. It is caused by a bacteria, not a virus. The infection is often called Clostridium difficile-associated disease (or “CDAD”) or Clostridium difficile infection (CDI) to describe a number of related illnesses, such as diarrhea, colitis (irritation and swelling inside the intestine), and perforation of the colon (a hole in the intestine). C. diff produces a toxin when in your intestines that causes the diarrhea and colitis. Once you’re infected, it’s very easy to spread C. diff bacteria from one person to another, though it’s primarily spread between people by dirty hands and not washing hands before food preparation and eating. Click here for more info. C. difficile is a spore forming bacteria. A spore is a hard shell that some types of bacteria can wear to protect themselves in harsh environments for long periods of time (think of a seed). This hard shell makes C. difficile more difficult to treat, harder to clean, and easier to become contagious to others. It makes it hard to kill and it can’t be treated with standard antibiotics. In fact, many antibiotics will make the infection grow worse. According to the most recent 2013 statistics, C. diff is now responsible for over 250,000 infections per year in the USA. It also has caused at least 14,000 deaths per year (these stats don’t include deaths with other contributing factors). Alarmingly, the death rate has increased 400% between the years 2000 and 2007 because of it’s growing resistance to antibiotics. 80% of people catch C. difficile by visiting a hospital or other healthcare facility for treatment. Many cases of the infection are caused by the use of antibiotic drugs (such as treating a skin or other type of infection). And the majority deaths (90%) from these infections happen to those 65 years and older. C. difficile infections can be prolonged, difficult to treat and are prone to recurring infections. C. difficile is most often a complication that appears along with other illnesses. In fact, September 2013, the CDC named C. diff the most urgent of all superbug infections because of it’s natural resistance to many common antibiotics and the rapidly growing number of deaths associated with this bacteria. 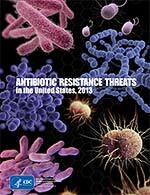 To read this most recent CDC report on antibiotic resistant bacteria, click here. How did C. difficile get started? C. difficile is a bacteria that lives naturally in soils and other parts of the environment, and it also lives inside the intestine a smaller percent of the human population. Most people have a healthy balance of C. difficile along with hundreds of other bacteria inside their colon. Many people can carry C. difficile inside their colon and never become infected or ill.
C. difficile was first studied in the 1930’s, but its link to the hospital infection colitis was not discovered until the 1970’s. The incidence and severity of C. difficile have been steadily climbing since synthetic or man-made antibiotics were first mass produced in the 1940’s. Today C. difficile is continuously found in nearly every hospital, nursing home and healthcare facility. Antibiotics were created to stop the growth of bacteria. They have been a savior for many illnesses and infections since their creation. However, the more antibiotics have been used, the more trouble we’ve had with opportunistic bacteria like C. difficile. The overuse of antibiotics has also lead to antibiotic resistance in many infections, including C. difficile. Each year more types of bacteria adapt and become resistant to antibiotics, making these important drugs less and less effective at treating infections. The effectiveness of Metronidazole, the most common antibiotic used to treat C. difficile, has been decreasing over the last several years. Not anymore. There are actually more and more cases of C. difficile infecting otherwise healthy people who have not visited a hospital recently. According to the CDC, 20% of all C. difficile infections are community-associated, originating outside of healthcare environments. As you’ve probably heard, C. difficile bacteria are now in our schools, our gyms, and everywhere else that people are. Whether you’re currently infected, getting a hospital treatment or just enjoying our public places, it’s important that you be prepared with solutions that work, and have a game-plan in place on how to reduce your risk of becoming infected. More on this in a bit. 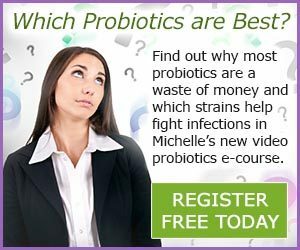 If I get C. difficile, will antibiotics work? 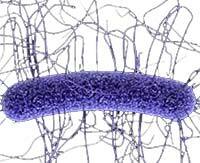 Most antibiotics don’t work against C. difficile and can thus make it grow worse. There are two special antibiotics (metronidazole and vancomycin) that still work against the infection, however, metronidazole has been losing it’s effectiveness, and vancomycin is very expensive. And there is no guarantee that either of these antibiotics will help for your specific C. difficile infection. While most strains still respond to metronidazole and vancomycin, some newer strains of the bacteria are becoming resistant to metronidazole. The Centers For Disease Control (CDC) warns that “We are coming to the end of the antibiotic era”. Health officials clearly believe it’s just a matter of time before antibiotics can not be counted on to treat most bacterial infections. As a Microbiologist, I agree. Research shows that antibiotic treatments are becoming less and less effective each year as C. diff, MRSA and other so called “superbugs” become resistant to even the strongest and newest antibiotics. Fortunately, there are alternatives to antibiotics that can work quite well, though you will not likely hear about them from your doctor. How do I get rid of C. difficile? Why does it keep coming back? Many people who get C. difficile have a very hard time getting rid of it. And 1 in 5 people who get infected will have multiple recurring C. difficile infections. Newer research we’ve seen also shows that Clostridium bacteria, after exposure to antibiotics, can change forms to be even more resistant to the antibiotic. This may be a big factor in it’s ability to resist antibiotic treatments. Another reason recurring infections are so common is that most treatments do nothing to help prevent future infections. It may sound strange, but stopping your current infection is a different objective than preventing future infections. Both objectives must be addressed to stop the cycle of recurrent C. difficile infections. Can I rely on natural home remedies to stop C. difficile? C. difficile is serious business and it should be treated as such. It’s crucial to understand how to combat these bacteria without having to rely on antibiotics. While some home remedies work, many are not up to the task of C. difficile. And, more importantly, as I stated above, stopping C. difficile is only part of the solution. If you have a history or C. difficile infections, it’s important that you be educated and understand how to make your body as resistant to C. difficile bacteria as possible. That’s where working with your body to naturally stop these bacteria comes in. More here on C diff natural remedies.